Unique Moments Photography of Gig Harbor WA offers 2 photographer packager for good reason. A single photographer cant be at 2 places at the same time. While formal pictures are being taken, there is often all kids of great things happening. Our 2nd photographer always has an eye out for interesting things that the family will enjoy. 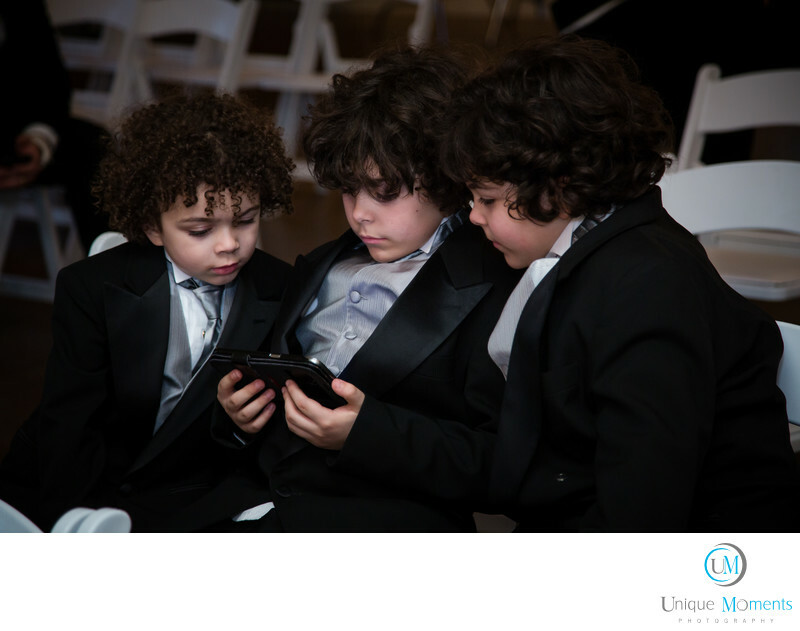 These 3 young men were oblivious to the bride and Groom who were being Photographed at the hollywood school house in Woodinville. They were busy with a video game. Mom and dad loved the image. Even though they see something like this 8-9 times a week, it seemed to look a little better while they were dressed in a tux. The hollywood school house is a great location to have a wedding and reception in one place. Location: 14810 NE 145th St, Woodinville, WA 98072.